Acan Innocent Immaculate’s The Pearl Trotters in Black, Yellow, Red published by Sooo Many Stories is set to make its debut on April 19, 2019. Acan Innocent Immaculate first came to the attention of those following the African literary scene when she won the Writivism Short Story Prize in 2016. Since then, the medical student in her final year of study at Makerere University School has been published by among others the Omenana Magazine, AFREADA Magazine, and In Selves: An Afro anthology of Creative Nonfiction. 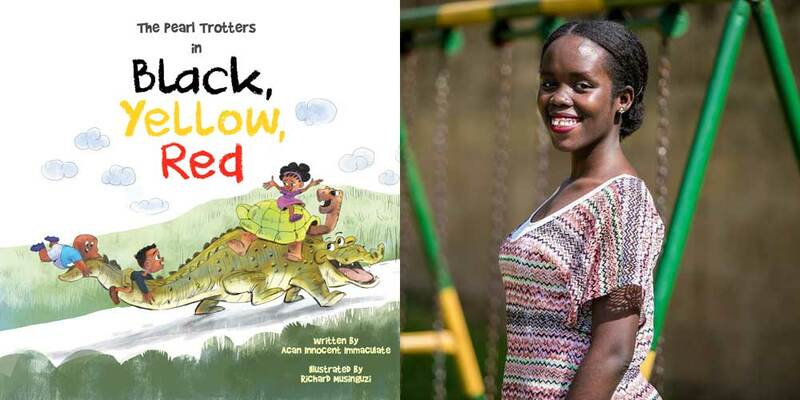 Acan Innocent Immaculate’s new book for children The Pearl Trotters in Black, Yellow, Red follows three friends on a colourful journey all over Uganda as they look for three ingredients to help them create something of national importance. It has a trailer which explains what the book is about that you can check below. The book is published by Ugandan publishing upstart Sooo Many Stories who have previously published Kagayi Peter’s The Headline That Morning and Philippa Namutebi Kabali-Kagwa’s Flame and Song. Previous Previous post: Syncity NG Anniversary Anthology and Prize longlist announced. Next Next post: Prix Les Afriques 2019 longlist announced in Geneva.